The Institute for Research on Women and Gender (IRWG) stimulates and supports research and creative activities by U-M faculty members and graduate students who use the lens of women, gender and sexuality to further their work. Each year, we also sponsor a variety of speakers and events to foster intellectual exploration and social change. 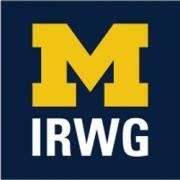 Founded in 1995, IRWG is an interdisciplinary unit of the University of Michigan Office of Research.